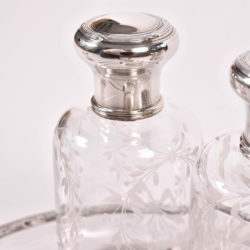 Scent bottles: 14.5cm high x 7cm diam. 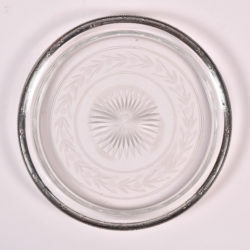 (each), Tray: 2.5cm high x 23cm diam. 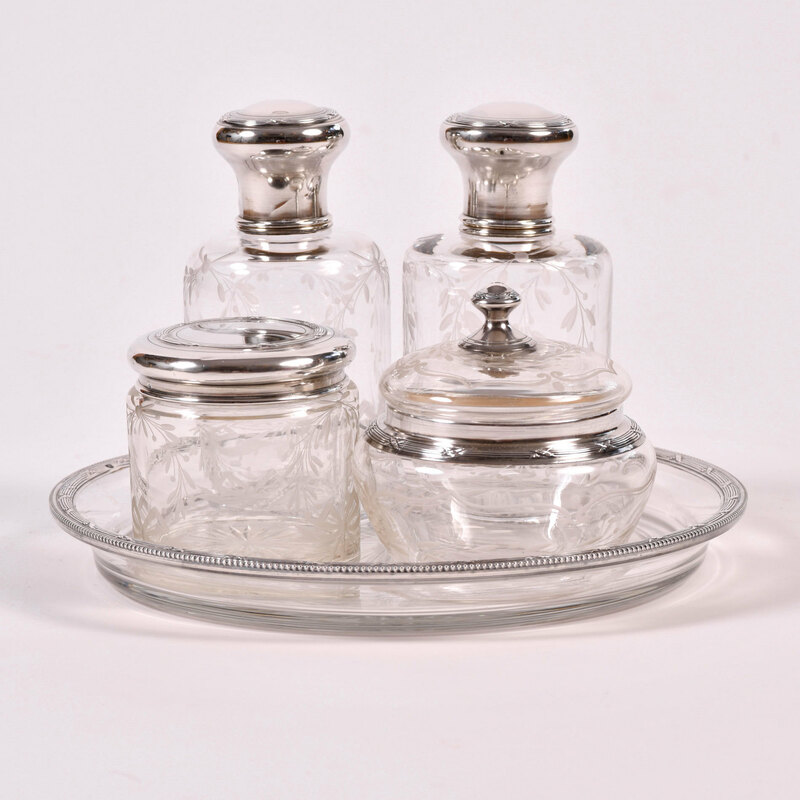 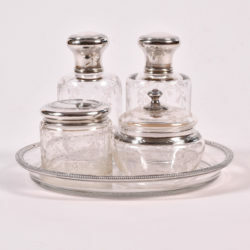 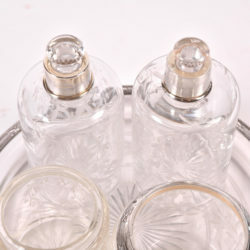 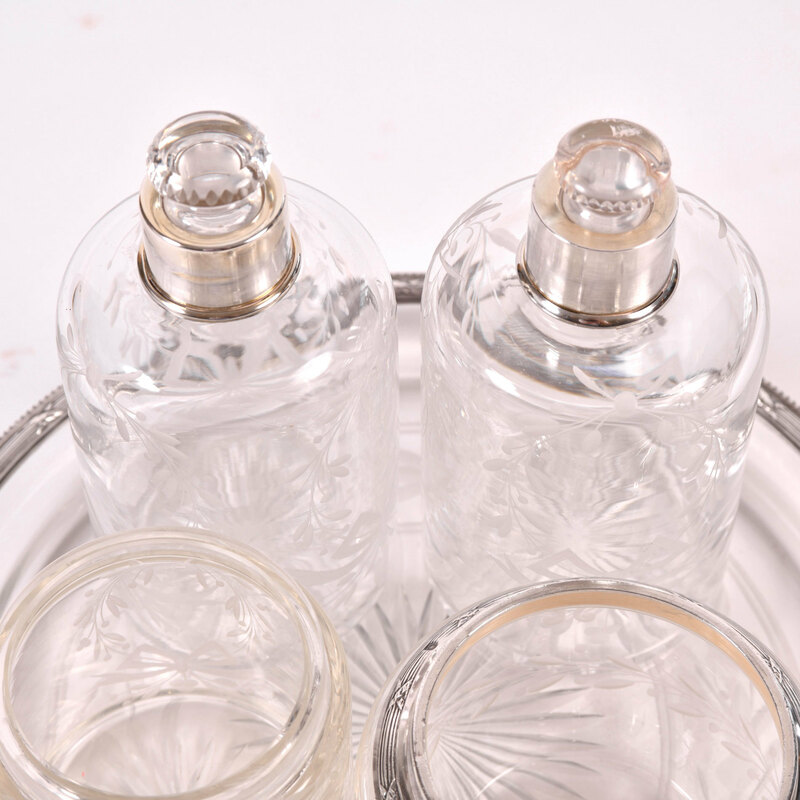 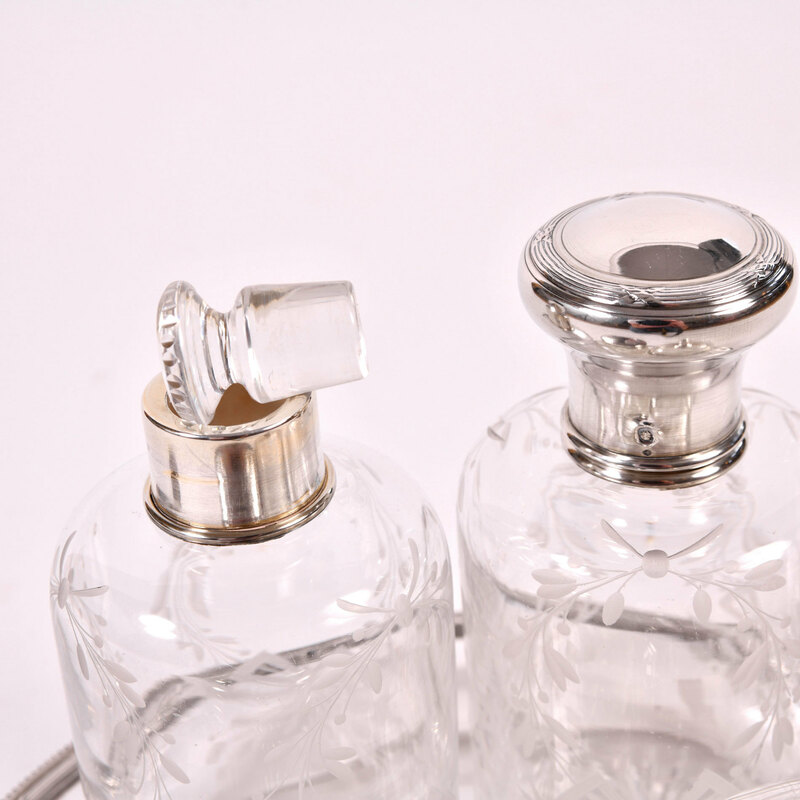 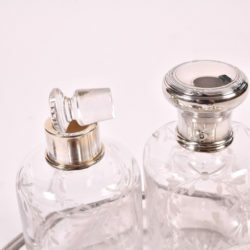 Glamorous five-piece set comprising of two scent bottles (glass stoppers intact), one powder puff bowl, one cold cream jar and matching tray, all in cut-glass with silver tops. 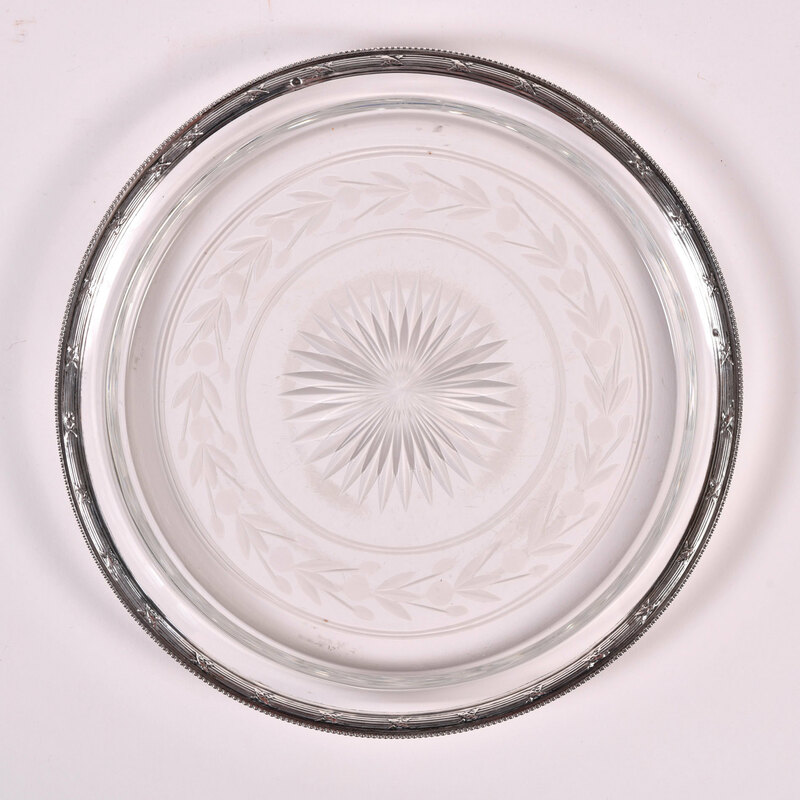 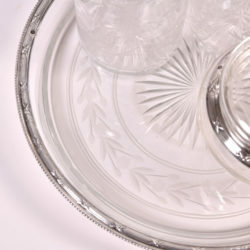 All glass pieces are intricately detailed with laurel wreaths and bows and each base, including the tray, is etched with a star burst design. 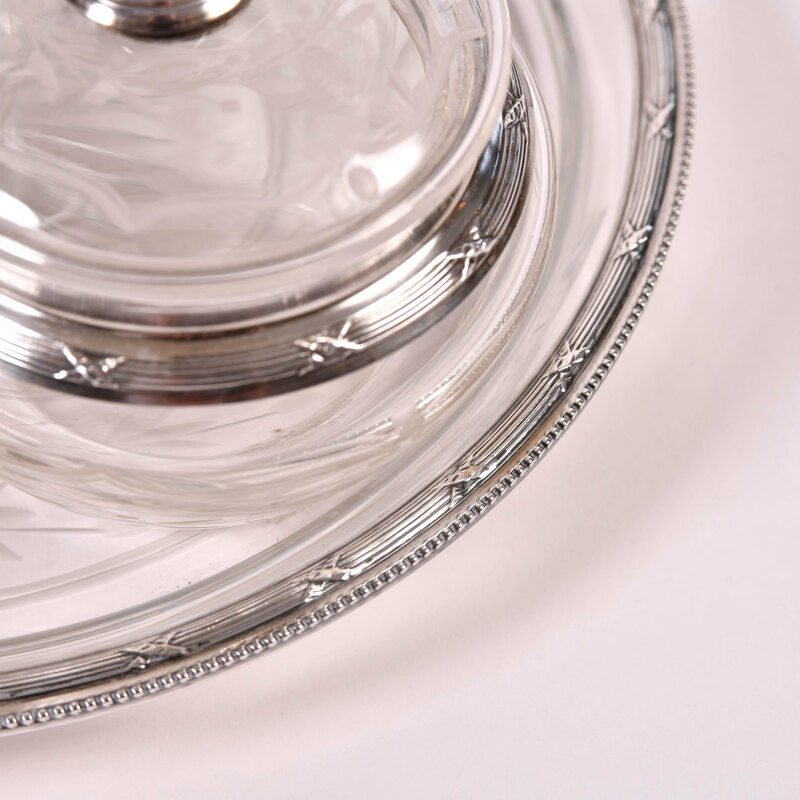 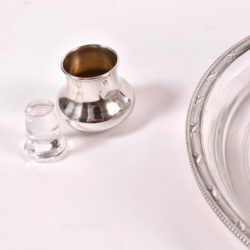 All silver work is finely detailed with ribbed edges and bows and all pieces are hallmarked.